The Georgia Tech Yellow Jackets football team represents the Georgia Institute of Technology in the sport of American football. The Yellow Jackets team competes in the Football Bowl Subdivision (FBS) of the National Collegiate Athletic Association (NCAA) and the Coastal Division of the Atlantic Coast Conference (ACC). Georgia Tech has fielded a football team since 1892 and has an all-time record of 700–471–43 (a .594 winning percentage). The Yellow Jackets play in Bobby Dodd Stadium at Historic Grant Field in Atlanta, Georgia, which has a capacity of 55,000. The Yellow Jackets have won four Division I-A college football national championships and fifteen conference titles. A number of successful collegiate and professional football players once played for Tech. The school has 48 first-team All-Americans and over 150 alumni who have played in the NFL. Among the most lauded and most notable players the school has produced are Calvin Johnson, Demaryius Thomas, Keith Brooking, Joe Hamilton, Joe Guyon, and Billy Shaw. In addition to its players, Tech's football program has been noted for its coaches and its, in many cases bizarre traditions and game finishes. 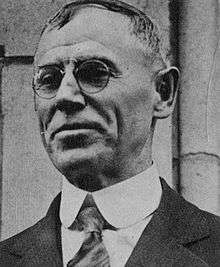 Among the team's former coaches are John Heisman, for whom the Heisman Trophy is named, and Bobby Dodd, for whom the Bobby Dodd Coach of the Year Award and the school's stadium are named. 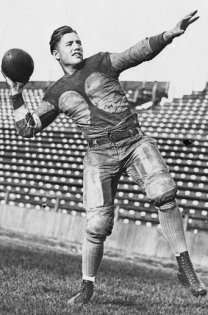 Heisman led the team to the highest-scoring game in American football history, and both Heisman and Dodd led Tech's football team to national championships. Dodd also led the Jackets on their longest winning streak (8 games) against the University of Georgia, Tech's most time-endured rival. Heisman was hired by Tech for $2,250 a year and 30% of the home ticket sales. Heisman would not disappoint the Tech faithful as his first season was an 8–1–1 performance, the first winning season since 1893. One source relates: "The real feature of the season was the marvelus advance made by the Georgia School of Techology which burst from fetters that kept it in the lowest class for ten years." His team posted victories over Georgia, Tennessee, University of Florida at Lake City, and Cumberland, and a tie with his last employer, Clemson. He suffered just one loss, to another first year coach, Mike Donahue of Auburn. In 1927, Alexander instituted "the Plan." Georgia was highly rated to start the 1927 season, known as the "dream and wonder team," and justified their rating throughout the season going 9–0 in their first 9 games. Alexander's plan was to minimize injuries by benching his starters early no matter the score of every game before the UGA finale. 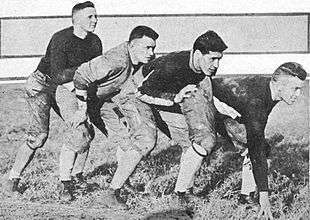 On December 3, 1927, UGA rolled into Atlanta on the cusp of a national and conference title. Tech's well rested starters were helped by the rain and shut out the Bulldogs 12–0, ending any chance of UGA's first national title, while netting the SIAA title. Bobby Dodd took over the Georgia Tech football program following Coach Alexander's retirement in 1944. Dodd's coaching philosophy revolved around player treatment and character development. He did not believe in intense physical practices but rather precise and well executed practices. Dodd's philosophy translated to winning. He set the record for career wins at Tech at 165 career coaching wins including a 31-game winning streak from 1951–1952. He also managed to capture two Southeastern Conference Titles and the 1952 National Title, which concluded a 12–0 perfect season and Sugar Bowl conquest of previously undefeated, seventh ranked Mississippi Ole Miss., in a season that also included victories over Orange Bowl champions, 9th ranked, Alabama, 15th ranked Gator Bowl champions Florida Gators football, 16th ranked Duke, and a 7–4 rival Georgia. While 9–0 Michigan State would capture the AP and UP titles, the Yellow Jackets' were ranked first in the International News Service poll. Dodd also understood the deep-seated rivalry with the University of Georgia. His teams won 8 games in a row over the Bulldogs from 1946–1954 outscoring the Bulldogs 176–39 during the winning streak. This 8–game winning streak against Georgia remains the longest winning streak by either team in the series. Dodd would finish his career with a 12–9 record against the Bulldogs. 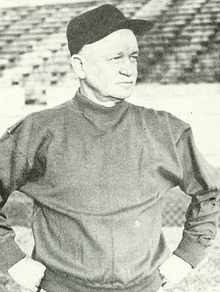 Bud Carson was Tech's defensive coordinator in 1966. His job was to appease the massive Tech fan base Bobby Dodd had accumulated. Carson was not the charismatic leader like Dodd but rather a strategy man that enjoyed intense game planning. Carson's most notable achievements included recruiting Tech's first ever African American scholarship athlete and being the first Tech head coach to be fired. Bill Fulcher supplanted Bud Carson. Fulcher appeared to be the right choice but quit after two seasons, overwhelmed by the Tech fan base. Fulcher's tenure included a terrible feud with Eddie McAshan, which peaked before the 1972 UGA game. McAshan had requested additional tickets for the game so that his family could attend. Fulcher refused the ticket request and McAshan sat out of practice in protest. Fulcher responded by suspending the quarterback for the UGA game and the upcoming Liberty Bowl. The story exploded on the national scene when Jesse Jackson attended the UGA game, allowing McAshan to sit with him outside of the stadium in protest. Pepper Rodgers was hired soon after Fulcher quit. Rodgers was hired away from the UCLA Bruins and like Carson and Fulcher, simply could not return Tech to its national prominence of Dodd's era, and after six seasons, Rodgers had accumulated only 34 wins and barely a 50% winning percentage. Rodgers flamboyant demeanor shortened his welcome at the school, and Athletic Director Doug Weaver, replaced him with Bill Curry. Homer Rice became Athletic Director, and attempted to reinvigorate Tech's program by joining the Atlantic Coast Conference in 1980. The Georgia Tech football program reached its lowest point in modern history after the hiring of Bill Curry, who had no experience as a head coach, but was a refreshing change after the flamboyant Rodgers. Curry's first two Tech teams from 1980–1981 went 2-19-1 with the only bright spots being a brilliant 24-21 victory over Bear Bryant's Alabama team at Legion Field to open the 1981 season and a 3-3 slug fest in 1980 with then No.1 rated Notre Dame at Grant Field. Things had gotten so bad, they could only get better. He slowly rebuilt the team, restored a winning mentality to the Georgia Tech fan base, and in 1985 Tech won 9 games, including a 17-14 victory over Michigan State in the All American Bowl. In Jones' sophomore season, Tech powered through their schedule and won the ACC. The four game unbeaten streak in 1989 extended all the way through 1990 and into the 1991 Citrus Bowl. The key victory in the streak was a huge 41-38 come from behind upset victory over then No.1 ranked Virginia in Charlottesville before a nationwide TV audience. Tech demolished Nebraska 45–21 in the 1991 Citrus Bowl, finishing the season 11–0–1, and earning a share of the 1990 National Title with the Colorado Buffaloes. When Lewis was hired, the Tech faithful hoped he would continue to build on Ross' success. He had just led East Carolina to an 11-1 record and a final ranking of ninth in the nation. 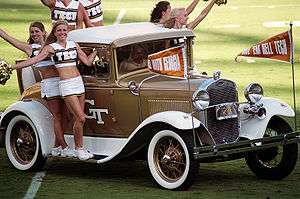 However, Lewis' first season at Tech in 1992 saw the Jackets collapse to only a 5-6 record just two years removed from a national championship. Preseason All-American Shawn Jones suffered from nagging injuries, leaving Tech's offense inept. After Jones' fourth year ran out, redshirt freshman Donnie Davis stepped in to fill his shoes in 1993. However, in two years The Lewis era had completely squandered the successful momentum established by Bobby Ross. During the Summer of '94, George O'Leary was rehired as defensive coordinator. With Davis injured in spring practice, Lewis recruited Tom Luginbill as his replacement. Luginbill was a proficient passer at Palomar College, a junior college in California, and his first two games in 1994 showed promise. Tech almost upset Arizona who was projected as the No. 1 team in the nation by Sports Illustrated and won 45-26 over Western Carolina. However, Tech lost its next 6 games before Lewis was fired with three games remaining in the season. O'Leary was named interim coach for the rest of the season, and was appointed head coach in 1995. O'Leary's first season saw Senior Donnie Davis return as starter and Tech won 6 games. O'Leary's second season saw the emergence of Joe Hamilton as starter when Brandon Shaw struggled in his first two starts. Hamilton would eventually lead the Jackets back to bowl contention and Tech attended its first bowl in six years, the 1997 Carquest Bowl. Hamilton's prowess as a runner and passer thrilled the Georgia Tech fans. Offensive coordinator Ralph Friedgen utilized a complex offense with Hamilton that featured option football mixed in with complex timing routes. Hamilton racked up yardage, touchdowns, and wins for Tech. In 1998, Hamilton and Tech's high powered offense won 10 games and a season ending victory over Notre Dame in the Gator Bowl. Hamilton's senior year put him on the national stage. He was a leading candidate for the Heisman Trophy against rushing phenomenon Ron Dayne. Hamilton passed for over 3000 yards and rushed for over 700 yards. But while Hamilton dazzled, the Georgia Tech defense was a liability (they allowed around 28 points per game), and may have ultimately cost Hamilton the 1999 Heisman Trophy. In a late-season, nationally-televised game against Wake Forest, Tech gave up 26 points and Hamilton threw two interceptions and no touchdowns. As an indirect result, Dayne went on to win the Heisman (Joe was runner-up). 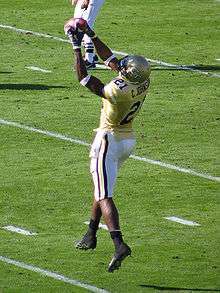 Hamilton's Georgia Tech career ended on a sour note in the 2000 Gator Bowl against the Miami, where the Jackets lost 28–13. The following season, redshirt junior George Godsey, a more traditional pocket passer, succeeded Hamilton at the helm of Tech's powerful offense. The drop-off was minimal—Godsey continued where Hamilton left off, winning 9 games in 2000 and 8 games in 2001. In 2000, Godsey also led Tech to their third straight victory over the archival Georgia Bulldogs. The end of the 2001 season saw George O'Leary entertain a coaching offer from Notre Dame after Bob Davie announced resignation as Irish head coach. O'Leary was eventually awarded the position, but it was revoked shortly thereafter when Notre Dame discovered that O'Leary had fabricated several aspects of his resume. He claimed to have played three years for the University of New Hampshire and to have attained a master's degree from New York University; in actuality, he had attended NYU but did not graduate, and he never played a down of New Hampshire football. Following O'Leary's departure, Mac McWhorter was named interim head coach for Georgia Tech's bowl game, a victory over Stanford in the 2002 Seattle Bowl. The following spring, Chan Gailey was hired to replace O'Leary as Georgia Tech's head coach. Gailey's most successful year at Georgia Tech was in 2006 with nine victories and the ACC Coastal Division championship. The Yellow Jackets football team reached its first New Year's Bowl since the 1999 Gator Bowl and played the West Virginia Mountaineers in the Gator Bowl. Tashard Choice led the ACC in rushing yards and Calvin Johnson led the ACC in receptions and receiving yardage. After an impressive 33-3 victory at Notre Dame to open the 2007 season, the team slid to finish 7-6. On the morning of Monday, November 26, 2007, Gailey was fired from the Yellow Jackets, two days after another heartbreaking loss to the University of Georgia. On Friday, December 7, 2007, less than two weeks after Georgia Tech announced the firing of Chan Gailey, Paul Johnson was announced as the new Georgia Tech head football coach. Johnson was hired under a seven-year contract worth more than $11 million. Johnson immediately began installing his unique flexbone option offense at Georgia Tech. By the regular season's end, Johnson had led the Yellow Jackets to a 9–3 record including an ACC Coastal Division Co-Championship and a 45–42 win in Athens, GA over arch-rival UGA, Tech's first win against the Bulldogs since 2000. In recognition of his accomplishments in his first season, Johnson was named 2008 ACC Coach of the Year by the Atlantic Coast Sports Media Association as well as the CBSSports.com coach of the year. Several weeks after Johnson's defeat of rival Georgia, Georgia Tech rewarded Johnson with a new contract worth $17.7 million, a 53% raise that made him the second highest paid coach in the ACC before he had even completed his first year in the conference. In 2009, Johnson led the Yellow Jackets to their first win over Florida State in Tallahassee in school history, a 49-44 shootout that featured over 1000 total yards between the two teams. One week later, Johnson defeated No. 4 Virginia Tech 28-23 at Bobby Dodd Stadium. The win broke an 0–17 losing streak to top five opponents at Grant Field in the past 47 years. On October 24, 2009, Johnson led the Yellow Jackets to their first win against the Virginia Cavaliers in Charlottesville, VA since 1990. At Duke University Johnson and his team clinched the ACC Coastal Division for the first time since 2006. Still, Johnson and company could not win their second game in a row over hated Georgia as the Bulldogs upset Tech 30–24 in the final home game of the season in 2009. On December 5 the Jackets defeated the Clemson Tigers to make them ACC champions, a title that would be vacated on July 14, 2011 due to NCAA infractions. The Yellow Jackets went on to lose to Iowa in the Orange Bowl, 24-14. Georgia Tech had another significant win over the Clemson Tigers on October 29, 2011 at Bobby Dodd Stadium. Clemson was ranked nationally No. 5 at the time, and the Tigers suffered their first defeat of the season at the hands of the Yellow Jackets. Tevin Washington led the Yellow Jackets to a 31–17 upset victory by rushing for 176 yards on 27 carries and a touchdown, which was the most rushing yards ever by a Georgia Tech quarterback. In addition, Clemson's offense was almost completely shutdown by Georgia Tech's defense in the first half, and the Tigers were plagued by turnovers, which contributed to the win for the Yellow Jackets. In 2012, Georgia Tech was declared the winner of the ACC Coastal Division on November 19, 2012. Georgia Tech clinched the Coastal Division by beating Duke 42–24 and finished with 5-3 league record. Georgia Tech played against Florida State in the 2012 ACC Championship Game on December 1 in Charlotte, which was coach Paul Johnson’s second appearance in the title game. The Yellow Jackets lost to the Seminoles 21–15. The 2014 Yellow Jackets, despite being predicted to finish 5th in Coastal Division by ESPN, garnered a 10-2 regular season record (6-2 ACC), including wins over then No. 19 Clemson and No. 9 Georgia to finish the regular season ranked No. 11 by the College Football Playoff Committee. The highlight of the season came when Georgia Tech defeated the Bulldogs in Athens in an overtime game that featured numerous swings in momentum. After a couple of controversial calls that gave UGA the advantage, the Rambling Wreck fought back, staying with the Bulldogs. With 18 seconds left, the Yellow Jackets delivered 30-yard drive that ended up with Harrison Butker's 53-yard field goal sending the game into overtime. After a 1-yard rushing touchdown by Georgia Tech RB Zack Laskey, the win was clinched by the Jackets when cornerback D.J. White intercepted UGA quarterback, Hutson Mason. Georgia Tech won the Atlantic Coast Conference Coastal Division and met No. 4 Florida State in the 2014 ACC Championship Game in Charlotte, NC, losing 37-35. The 2014 appearance marked Georgia Tech's third ACC Championship Game in seven seasons under Paul Johnson. With the advent of the College Football Playoff, Florida State was chosen in the top four (ranked No. 3), under which circumstance the Orange Bowl selected Georgia Tech, now ranked No. 12, as its replacement to face the No. 7 Mississippi State Bulldogs on December 31, 2014. In the orange bowl game, Justin Thomas led the Jackets to a dominating 49-34 win over No. 7 Mississippi State. The Yellow Jackets finished the season 11–3, No. 8 in AP poll and No. 7 in the American Coaches Poll. The stadium now sits amongst a unique urban skyline and is the oldest Division I FBS football stadium. In fact, the only Division I stadiums older are Franklin Field at the University of Pennsylvania and Harvard Stadium. Grant Field was natural grass until 1971. The astroturf was replaced by grass in 1995. The stadium officially holds 55,000 but has held up to 56,412 in 2005 and 56,680 in 2006. Georgia – Georgia Tech's fight songs and cheers are tailored to belittle the University of Georgia Bulldogs, and the perennial catch-phrase for Georgia Tech fans for many decades has been "To Hell with Georgia". Georgia Tech and the Univ. of Georgia have played each other in football over 100 times (and hundreds more times in basketball, baseball, track and field, tennis, etc.) and this rivalry has become known as Clean, Old-Fashioned Hate. The annual football game is by far the most important game on the schedule for most Georgia Tech sports fans. The winner of this game takes home the Georgia State Governor's Cup. Georgia Tech trails Georgia in the all-time series 64-41-5. Auburn Tigers – The Yellow Jackets have played the Auburn University Tigers more than 80 times in football, and the series of football games between the two is the second-oldest in the Southeast. Auburn Univ. or A.P.I. is by far Georgia Tech's second-most-often played opponent in football. The rivalry is also intense in basketball, baseball, etc. This rivalry lost some luster when the Georgia Tech Athletics discarded its membership in the Southeastern Conference in 1963 to become an independent institute. However, the Yellow Jackets continued their annual series of football games with the Auburn Tigers through 1987, and with the University of Georgia though the present day. Georgia Tech and Auburn play football games in occasional years, and games in other sports regularly. Even though the Yellow Jackets have joined the Atlantic Coast Conference for all sports in recent decades, from a historical perspective, the Auburn Tigers are Georgia Tech's second-highest sports rivalry, behind only the Georgia Bulldogs. Georgia Tech trails Auburn in the all time series 41-47-4, but beat Auburn at Tech's Bobby Dodd Stadium in 2003 and in Auburn to open the 2005 season. Clemson Tigers – The Georgia Tech Yellow Jackets and the Clemson Tigers have the fourth-most-played series in Georgia Tech football history. Clemson is Tech's closest opponent, geographically, in the Atlantic Coast Conference. Also, in the ACC's new two-division arrangement, each team has one football opponent in the opposite division which has been selected as the two teams' official cross-division rival that they play every year. The Yellow Jackets and the Clemson Tigers are one of these six pairs. In addition to their geographical closeness and the Heisman connection, the Georgia Tech – Clemson pairing is also a logical one because of both schools' long history in engineering, technology, and science education. Recently, the game has become known for last-minute, extremely close finishes. From 1996 to 2001, each of the six games was decided by exactly three points. In 1977 (before the Yellow Jackets had even joined the ACC), this football series was being considered for termination by the administration of Georgia Tech. Clemson football fans, in an effort to show their economic impact on the Atlanta, Ga., area, brought with them to Atlanta large stockpiles of two-dollar bills that were stamped with Clemson Tiger Paws. Georgia Tech leads Clemson in the all time series 50-25-2. Notre Dame – The Georgia Tech-Notre Dame Fighting Irish football rivalry is infamous more for atrocious off-the-field behavior, rather than the actual games. Georgia Tech fans pelted the Notre Dame players, coaches, and visiting fans with fish and liquor bottles during the games played at Bobby Dodd Stadium during the 1960s and 1970s. One of the more noteworthy games was the 1980 3–3 slug fest at Grant Field during Bill Curry's first season, when then No.1 ranked Notre Dame left Grant Field with its hopes for a national championship in ruins, and once again the visitors were pelted with fish. The football game in 1975 was made famous nationwide in the movie Rudy, in which the Notre Dame player Rudy Ruettiger tackles the Georgia Tech quarterback Rudy Allen. Georgia Tech trails Notre Dame in the all-time series 27–6–1. In 2015, The Yellow Jackets will play the Fighting Irish on September 19 as part of a deal with Notre Dame and the Atlantic Coast Conference. Virginia Tech- The Georgia Tech – Virginia Tech (V.P.I. - Virginia Polytechnic Institute) rivalry has grown considerably since Virginia Tech entered the ACC. In previous years, the teams played infrequently. The intra-conference game has often seen both teams ranked and the outcome has played a key part in determining the winner of the ACC Coastal Division. Since the ACC switched to Division format in 2005, the winner of this game has gone on to win the Coastal Division all but once, with VT winning seven times and GT winning three times. Dubbed the Battle of the Techs, the game has seen some very close, very intense match-ups. Tennessee– Georgia Tech and Tennessee haven't met since 1987 but have scheduled a labor day game in Atlanta in 2017 that will renew the rivalry between the two. When Georgia Tech was part of the Southeastern Conference they played annually. After Georgia Tech left the SEC in 1964, the teams still met until 1987. Georgia Tech Yellow Jacket football has been ranked as the 18th most prestigious college football program in American history by ESPN U.
Georgia Tech has appeared in 41 bowl games and ranks ninth in all time bowl wins with 23. Georgia Tech's first four bowl game appearances, the Rose Bowl (1929), Orange Bowl, Cotton Bowl Classic, and Sugar Bowl, marked the first time a team had competed in all four of the Major Bowl Games. Georgia Tech has had three coaches and thirteen players inducted into the College Football Hall of Fame just down the street in Atlanta, Georgia. 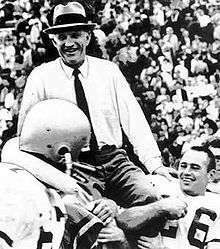 Coaches Heisman, Alexander, and Dodd were inducted in the 1954, 1951, and 1993 classes respectively. Two Yellow Jackets have been inducted into the Pro Football Hall of Fame. Joe Guyon played professional football from 1920-1927. Guyon was a collegiate teammate of Jim Thorpe at Carlisle Indian Industrial School before transferring to Georgia Tech. His playing career began with the Canton Bulldogs and finished with the New York Giants. He was inducted into the Hall of Fame in the class of 1966. Billy Shaw played professional football for the Buffalo Bills from 1961-1969. He was inducted into the Hall of Fame in the class of 1999. ↑ The Macon Telegraph reported, "The game, while not brilliant, was full of earnest and determined effort, and this sort of playing, is after all, the most enjoyable to watch." ↑ From 1915 to 1920 the team went 45–5–2 and outscored opponents 2180 to 142. ↑ The yearbook remarked, "Bill began his great work on the sand lots of Tech Hi here in Atlanta years ago and ended it up by smearing "Fatty" Warren of the Auburn Tigers all over the flats of Grant Field on Turkey Day last." ↑ Tech traveled by train to meet the awaiting Golden Bears. ↑ Vance Maree blocked the punt. ↑ After the game, "Stumpy" Thomason acquired a live bear cub. He brought the cub back to Atlanta, where it lived under the bleachers of Grant Field for several years before it moved along with Stumpy up to Pittsburgh. ↑ Despite an extensive six-day search involving American and British search crews, on November 23, 1944, all crew members were officially re-classified from MIA to KNB (killed, no body). ↑ "2009 Football Media Guide" (PDF). Georgia Institute of Technology. ↑ "Visual Guidelines". Georgia Tech Licensing and Trademarks. Retrieved 2016-11-16. ↑ Byrd, Joseph (Spring 1992). "From Civil War Battlefields to the Moon: Leonard Wood". Tech Topics. Georgia Tech Alumni Association. Archived from the original on February 9, 2007. Retrieved 2007-03-12. 1 2 Cromartie, Bill (1977). Clean Old-fashioned Hate: Georgia Vs. Georgia Tech. Strode Publishers. ISBN 0-932520-64-2. ↑ Nelson, Clark (2004-11-19). "For Tech fans, victory against UGA means far more than ordinary win". The Technique. Archived from the original on February 20, 2006. Retrieved 2007-05-17. ↑ "JESSE THRASH MADE CAPTAIN". Atlanta Constitution. December 14, 1902. p. 35. Retrieved March 18, 2015 – via Newspapers.com. ↑ "On Gridiron In South". Atlanta Constitution. December 25, 1904. p. 7. Retrieved March 10, 2015 – via Newspapers.com. 1 2 Burns, G. Frank. "222–0: The Story of The Game of the Century". Archived from the original on November 15, 2006. Retrieved 2007-03-23. ↑ "Cumberland 0, Tech 222". Tech Topics. Georgia Tech Alumni Association. Archived from the original on January 3, 2006. Retrieved 2007-05-21. ↑ "Tech Timeline: 1910s". Tech Traditions. Georgia Tech Alumni Association. Archived from the original on October 16, 2007. Retrieved 2007-05-21. ↑ Lynn Hogan (1973). "They Walked Away Into Legend...". Georgia Tech Alumni Magazine. 51 (4): 15–19. ↑ "Georgia Tech statistics" (PDF). ↑ "1925 Football Captains". The Stanford Daily. 68. October 27, 1925. ↑ W. A. Alexander (1926). "Forty-Five Yards for Georgia Tech" (PDF). Kansas City Star. ↑ "Famous Footballers". Times-Picayune. January 30, 1932. ↑ "Wrong Way Reigels". Georgia Tech Alumni Magazine. Georgia Tech Alumni Association. Spring 1998. Archived from the original on December 27, 2005. Retrieved 2007-09-15. ↑ "Stumpy's Bear". Tech Traditions. Georgia Tech Alumni Association. Archived from the original on July 14, 2007. Retrieved 2007-08-09. ↑ "What is the Ramblin' Reck Club?". Ramblin' Reck Club. Archived from the original on 2007-02-10. Retrieved 2007-08-09. 1 2 "Ramblins - Tech player was legendary on the field and in the sky". The Technique. Retrieved 2007-08-12. ↑ Edwards, Pat (1996-12-06). "Ramblins". The Technique. Retrieved 2007-10-05. 1 2 3 4 "Bobby Dodd Bio". RamblinWreck.com. Georgia Tech Athletic Association. Retrieved 2007-08-10. 1 2 "Georgia Tech vs Georgia". cfdatawarehouse.com. College Football Data Warehouse. Archived from the original on May 17, 2007. Retrieved 2007-08-10. 1 2 3 4 Dodd, Bobby; Jack Wilkinson (1988). Dodd's Luck. Golden Coast Publishing Company. ISBN 0-932958-09-5. ↑ "Bill Fulcher Bio". Ramblinwreck.com. Georgia Tech Athletic Association. Retrieved 2007-08-10. ↑ "Georgia Tech Yearly Totals 1980-1984". College Football Data Warehouse. Archived from the original on April 7, 2007. Retrieved 2007-08-11. ↑ "Ted Roof Bio". GoDuke.Com. Retrieved 2007-08-15. 1 2 Chavez, Luciana (2006-11-24). "Duke's faith in Roof far from blind". The News & Observer. Archived from the original on November 29, 2006. Retrieved 2007-08-15. ↑ Clarke, Michael (Winter 1990). "Mays Days". Georgia Tech Alumni Association Technotes. Archived from the original on October 20, 2007. Retrieved 2007-08-15. ↑ Clarke, Michael (2005-09-16). "Football program builds on strong history". The Technique. Archived from the original on September 29, 2007. Retrieved 2007-08-10. ↑ "1990 National Championship". New Georgia Encyclopedia. Retrieved 2007-08-10. ↑ "SPORTS PEOPLE: PRO FOOTBALL; Ross to Leave Ga. Tech And Coach Chargers". New York Times. 1992-01-01. Archived from the original on April 9, 2015. Retrieved 2007-08-10. ↑ Sivasubramanian, Raj (2000-01-21). "Despite bowl loss, '99 football season still memorable to fans". Retrieved 2007-09-15. ↑ Ramos, Phil (2000-01-21). "Hamilton era comes to a stormy end against Hurricanes". The Technique. Retrieved 2007-09-15. ↑ Stanger, Derick (2001-07-13). "Godsey returns to health, ready to start new season". The Technique. Archived from the original on February 20, 2006. Retrieved 2007-09-15. ↑ Associated Press (2001-12-14). "O'Leary out at Notre Dame after one week". Sports Illustrated. cnn.com. Archived from the original on September 17, 2007. Retrieved 2007-09-15. ↑ Associated Press (2001-12-14). "Coach has no one to blame but himself". Sports Illustrated. cnn.com. Archived from the original on February 13, 2002. Retrieved 2007-09-15. ↑ Handelman, Michael (2003-06-27). "Shuffle at Athletic Association replaces Moore". The Technique. Archived from the original on September 29, 2007. Retrieved 2007-08-09. ↑ "Sports Shorts: Court rules in favor of Houson". The Technique. 2005-11-18. Archived from the original on May 5, 2006. Retrieved 2007-08-09. ↑ Joshi, Nikhil (2005-07-01). "Houston arrested in marijuana conspiracy". The Technique. Archived from the original on September 29, 2007. Retrieved 2007-08-09. ↑ "Georgia Tech Penalized for Allowing Academically Ineligible Student-Athletes to Compete, Lack of Institutional Control". NCAA. 2005-11-17. Archived from the original on September 30, 2007. Retrieved 2007-09-16. ↑ Clarke, Michael (2005-12-02). "NCAA adds to self-imposed sanctions". The Technique. Archived from the original on September 29, 2007. Retrieved 2007-08-09. ↑ "NCAA Preserves Football Record". Buzz Words. Georgia Tech Athletic Association. June 2006. Archived from the original on October 12, 2008. Retrieved 2007-09-17. ↑ "Gailey Relieved Of Duties As Georgia Tech Head Coach". RamblinWreck.com. Georgia Tech Athletic Association. 2007-11-26. Retrieved 2007-11-26. 1 2 Schlabach, Mark (2007-12-07). "Johnson accepts offer to become Yellow Jackets coach". ESPN. Retrieved 2007-12-07. ↑ "Johnson introduced as Tech coach". Atlanta Journal Constitution. 2007-12-07. Archived from the original on May 22, 2011. Retrieved 2008-04-09. ↑ "Ga. Tech overcomes 16-point halftime deficit, snaps 7-game skid to Georgia". ESPN. Associated Press. 2008-11-29. Retrieved 2008-11-29. ↑ Ken Sugiura (2008-12-02). "Ga. Tech's Paul Johnson wins ACC coach of the year". Atlanta Journal-Constitution. Archived from the original on December 5, 2008. Retrieved 2008-12-02. ↑ Dodd, Dennis (2008-12-02). "CBSSports.com coach of year: Johnson's confidence runneth over". CBSSports.com. Archived from the original on December 5, 2008. Retrieved 2012-10-08. ↑ "Tech's Johnson gets 53 percent pay raise". Atlanta Journal-Constitution. 18 December 2008. Archived from the original on June 22, 2011. Retrieved 29 December 2008. ↑ "Tevin Washington runs for 176 yards as Georgia Tech knocks off Clemson". espn.com. Retrieved 2012-12-05. ↑ Sugiura, Ken (2012-11-19). "Miami self-imposes, Tech headed to ACC title game". Atlanta Journal Constitution. Archived from the original on November 22, 2012. Retrieved 2012-11-19. ↑ Sugiura, Ken (2012-12-02). "Tech rally falls short in ACC title defeat". Atlanta Journal Constitution. Retrieved 2012-12-02. ↑ Scott, David (2012-12-02). "Seminoles close the deal, beat Georgia Tech to win ACC title". newsobserver.com. Archived from the original on December 9, 2012. Retrieved 2012-12-02. 1 2 "Bobby Dodd Stadium at Historic Grant Field". RamblinWreck.com. Georgia Tech Athletic Association. Retrieved 2007-08-09. 1 2 Edwards, Pat (1999-10-15). "Students build first stands at Grant Field". The Technique. Archived from the original on September 29, 2007. Retrieved 2007-04-10. ↑ "Football's Oldest Stadiums: Witnesses to Game's Evolution". ESPN.com. ESPN. 2007-12-27. Retrieved 2008-02-17. ↑ "Georgia vs Georgia Tech (Nov 26, 2005)". RamblinWreck.com. Georgia Tech Athletic Association. 2005-11-26. Retrieved 2007-08-09. ↑ "Notre Dame vs Georgia Tech (Sep 02, 2006)". RamblinWreck.com. Georgia Tech Athletic Association. 2006-09-02. Retrieved 2007-08-15. ↑ Link-Wills, Kimberly (January–February 2010). "The Story Behind GT". Georgia Tech Alumni Magazine. Georgia Tech Alumni Association. p. 96. Archived from the original on April 2, 2012. Retrieved 2010-09-22. 1 2 "Freshman Auburn, Georgia Tech Rekindle Old Rivalry". CSTV. 2003-09-03. Retrieved 2007-08-15. ↑ "Clemson rivalry adds to homecoming fun". The Technique. 2005-10-28. Archived from the original on September 29, 2007. Retrieved 2007-09-28. ↑ "Tech-Irish series has ugly past". The Atlanta Journal-Constitution. 2006-07-16. Archived from the original on August 27, 2006. Retrieved 2007-08-15. ↑ "Hokie tackle relishes rematch". Roanoke.com. 2010-11-03. Retrieved 2010-11-03. ↑ "The Battle of the Techs". College Sports Matchups. 2009-10-15. Retrieved 2010-09-20. ↑ "History of the Ramblin' Wreck". The Ramblin' Reck Club. Archived from the original on 2007-02-10. Retrieved 2007-03-04. ↑ McNair, Cam (Winter 2004). "Give My Wife Some Credit" (PDF). Tech Topics. Georgia Tech Alumni Association. p. 4. Archived from the original (PDF) on September 13, 2006. Retrieved 2007-05-20. ↑ "College Mascots - Top 25 in the USA". Americasbestonline.net. 1959-10-03. Retrieved 2012-11-08. ↑ Edwards, Pat (1999-09-16). "Yellow Jacket Alley gets the game going". The Technique. Archived from the original on September 29, 2007. Retrieved 2007-09-16. ↑ "Freshman Survival: You certainly won't find these in Webster's...". The Technique. 2002-08-23. Archived from the original on September 29, 2007. Retrieved 2007-08-09. ↑ Cunningham, Robert (2001-10-12). "Techsters swarm to join student-run cheering squad". The Technique. Archived from the original on September 29, 2007. Retrieved 2007-09-16. ↑ "Team Records - Most Bowl Wins". College Football Data Warehouse. Retrieved 2007-08-15. ↑ "100 Years of Georgia Tech Football". Tech Topics. Georgia Tech Alumni Association. Fall 1992. Archived from the original on March 13, 2006. Retrieved 2007-08-15. ↑ "Angelo Bertelli Heisman Voting". heisman.com. Archived from the original on August 5, 2007. Retrieved 2007-09-15. 1 2 "Player Honors" (PDF). fansonly.com. Georgia Tech Athletic Association. Retrieved 2007-09-15. ↑ "Eddie Lee Ivery Stats". pro-football-reference.com. Retrieved 2007-09-15. ↑ "2006 Expanded Heisman Trophy voting results". MSNBC. Archived from the original on May 14, 2007. Retrieved 2007-09-15. ↑ Heerji, Asif (2006-09-01). "Legend of Castleberry remains in Tech lore". The Technique. Archived from the original on September 29, 2007. Retrieved 2007-09-15. ↑ "Player Bio: Joe Hamilton". RamblinWreck.com. Georgia Tech Athletic Association. Retrieved 2007-09-15. ↑ "Georgia Tech All-Americans". RamblinWreck.com. Georgia Tech Athletic Association. Retrieved 2007-09-15. ↑ "Calvin Johnson Player Achievements". RamblinWreck.com. Georgia Tech Athletic Association. Retrieved 2007-08-15. ↑ "College Football Hame of Fame". ↑ "Randy Rhino to Enter College Football Hall of Fame". RamblinWreck.com. 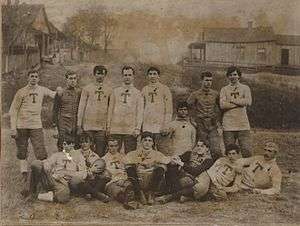 Georgia Tech Athletic Association. 2002-05-07. Retrieved 2007-09-15. ↑ "NFL Players who attended Georgia Institute of Technology". databasefootball.com. Retrieved 2007-09-15. 1 2 "NFL All-Time First Round Picks". databasefootball.com. Retrieved 2007-09-15. ↑ "1937 NFL Player Draft". databasefootball.com. Retrieved 2007-10-04. ↑ "Hall of Famers by College". Pro Football Hall of Fame. Archived from the original on September 30, 2007. Retrieved 2007-09-15. ↑ "Joe Guyon". Pro Football Hall of Fame. Retrieved 2007-09-15. ↑ "Billy Shaw". Pro Football Hall of Fame. Retrieved 2007-09-15. ↑ "Georgia Tech Yellow Jackets Football Schedules and Future Schedules". fbschedules.com. Retrieved 2012-12-30. McMath, Robert C.; Ronald H. Bayor; James E. Brittain; Lawrence Foster; August W. Giebelhaus; Germaine M. Reed (1985). 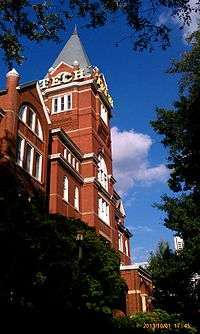 Engineering the New South: Georgia Tech 1885-1985. Athens, GA: University of Georgia Press. 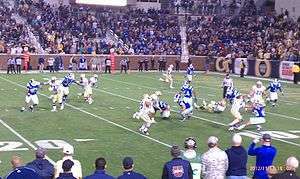 Wikimedia Commons has media related to Georgia Tech Yellow Jackets football.